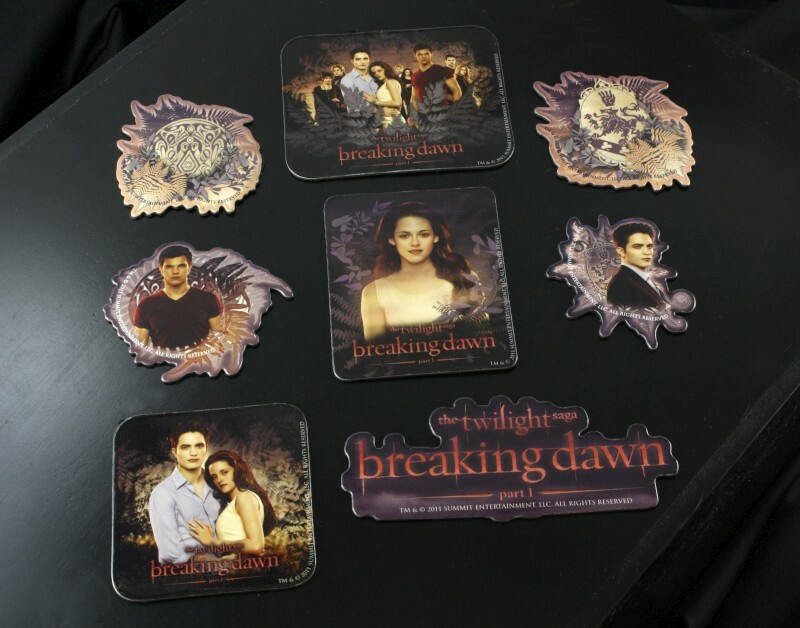 This Twilight: Breaking Dawn magnet set features images of Edward, Bella, Jacob, the cast, the Cullen crest, Jacob’s tribal tattoo and more! Whether you’re attaching a shopping list to the fridge or decorating your locker, they’ll send a message on any metal surface. Set includes eight magnets that range from 2-4″ wide.